Pulse will perform a selection from their extensive repertoire in a relaxed atmosphere. Whether you're organising your wedding, planning a function or just looking for a great way to spend your Saturday night, this is the event for you. 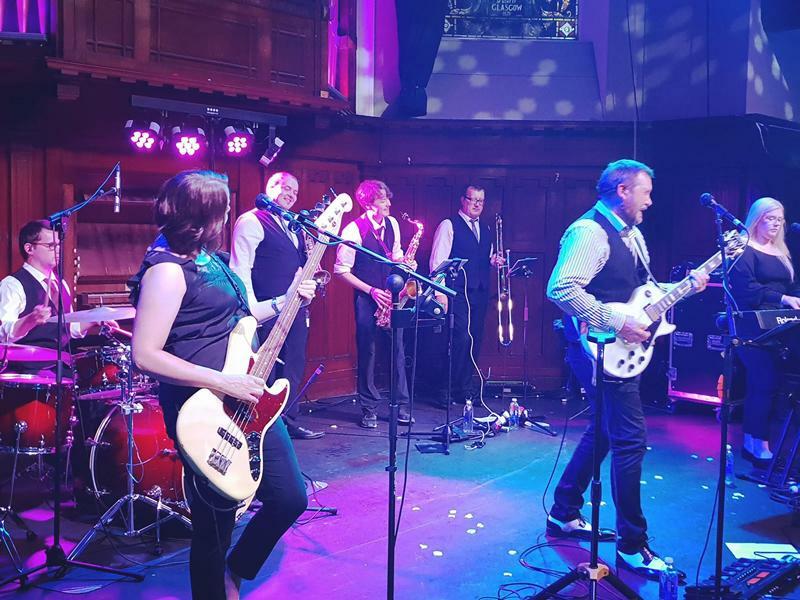 Pulse are Scotland’s premier live band, providing entertainment for weddings, functions and corporate events in Glasgow, Ayrshire, southwest and central Scotland. We’ve been playing at weddings and functions for many years and we absolutely love what we do. Our wealth of experience means we know what works, you can relax and rely on us to deliver the perfect evening to round off your perfect day. Our line-up is enhanced by our three part horn section that adds an extra dimension to the band’s performance, as well as authentic sounds for soul, motown and disco tracks. While we take every opportunity to ensure the details for Pulse Band Live are accurate, we always advise that you contact the event organiser before setting out for the event to avoid disapointment.